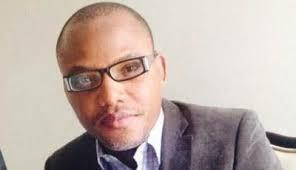 FAMILY WRITERS COURT UPDATE: COURT QUASH 6 OF NIGERIA CHARGES AGAINST KANU, OTHERS, SAYS "IPOB IS NOT AN UNLAWFUL SOCIETY"
The Federal High Court sitting in Abuja has struck out six of eleven count charges leveled against Nnamdi and co-defendants. The presiding judge, Binta Nyako stated that the charges put forward by the Nigeria government against the defendants lacks merit, as the federal government has failed to produce any veritable evidence to substantiate the charges. The judge however stated that 5 of the charges still holds and will be deliberated upon by the court. "I have three separate applications before me, except that of the third defendants," judge Binta Nyako read in her ruling. (1) IPOB is an unlawful society, though is not registered in Nigeria. I hereby strike out, Count 3,5,7,9,10 and 11. But, Count 1,2,4,6 and 8 stands. "I will also put it before the court that, the only evidence the prosecutor have provided is, the statement the defendant made while broadcasting," the judge stated.